Underwater reefs can make lovely "landscape" scenes. 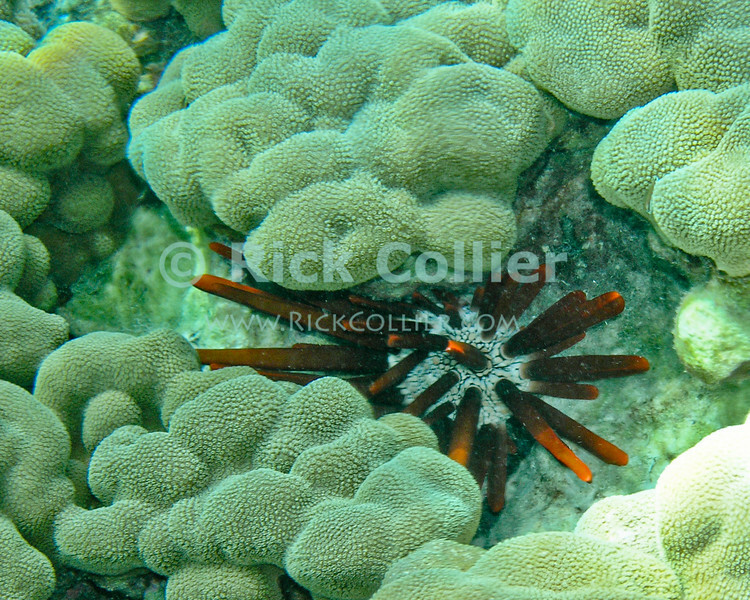 A pencil urchin nestles into a gap within coral. Honaunau Bay, Kona side, the Big Island, Hawaii.